Production company:- Red Chillies, Dharma Prod. 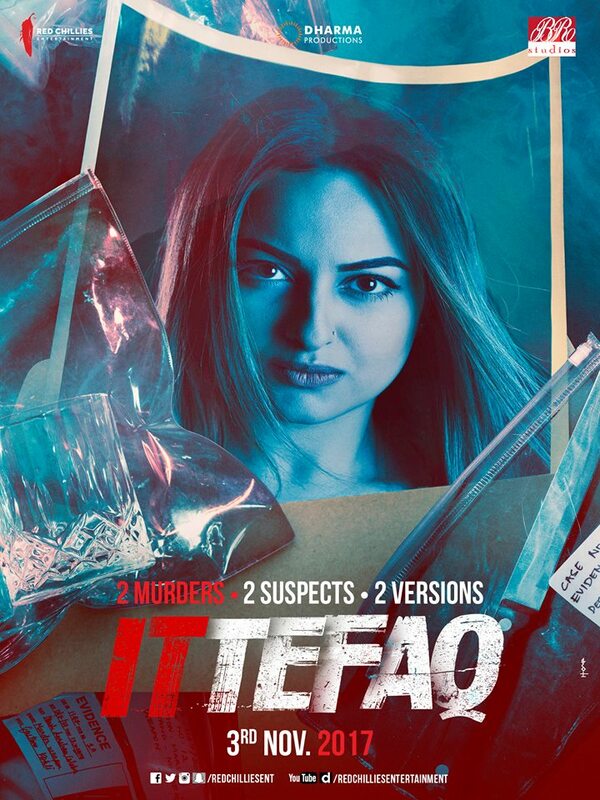 Ittefaq is an Upcoming Bollywood Film in 2017, It is Mystery, Thriller Film and Sidharth Malhotra, Sonakshi Sinha in lead roles. This film is Directed by Abhay Chopra and Produced by Karan Johar, Gauri Khan. It is made under the banner of Red Chillies Entertainment, Dharma Productions, B.R. Studios. 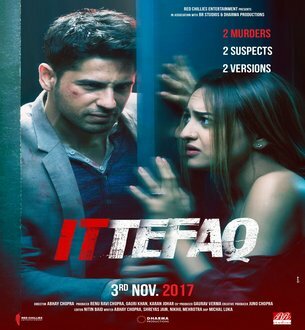 Ittefaq is scheduled to release on 3 November 2017. The interesting thing is that the film will not be promoted. The film's co-producer Karan Johar has said, "For the first time we are making a no-promotion plan for a film, it is necessary that we do not let any part of the film appear in front of them, that's why the actors are given media interaction A decision has been taken to keep away. 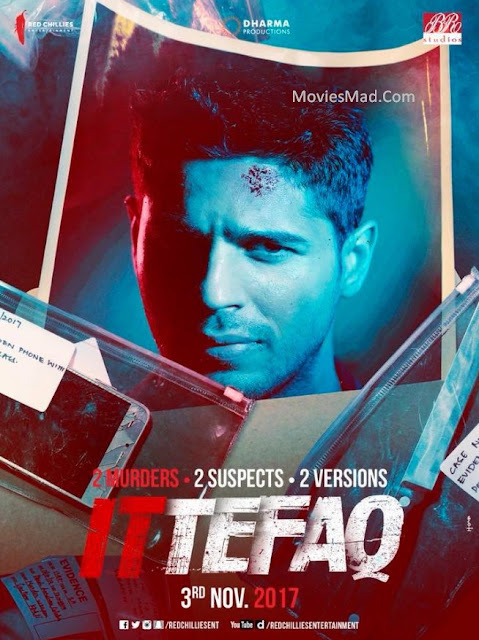 Storyline:- A police officer, is investigating a double murder case that has only two witnesses, who are also the prime suspects. The suspects - Vikram, an acclaimed writer, and Maya, a young homemaker, have different narratives about the events of that fateful night.